On 25th of October 2013, Malaysian Prime Minister Datuk Seri Najib Razak announced the introduction of the Goods and Services Tax (GST) in Budget 2014 to replace the current sales and services tax, GST will be effective on April, 2015. What it mean to Malaysia Business is that they currently have only less than 16 months to get ready and prepare for GST. And the worrying reality based on a recent survey shows that Malaysians are clueless about GST. 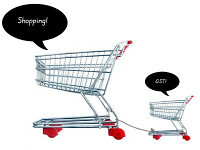 GST is a consumption tax based on the value-added concept. GST is imposed on goods and services at every production and distribution stage in the supply chain including importation of goods and services. GST is proposed to replace the current consumption tax i.e. the sales tax and service tax (SST). The introduction of GST is part of the Government’s tax reform program. Goods and Services Tax (GST) will be implemented with effective from 1 April 2015 and GST rate is fixed at 6 (%) per cent. Sales tax and service tax will be abolished. Where and when application for GST registration can be made? What are the measures undertaken by the government to assist the SMEs during the GST implementation? Do all businesses need to be registered under GST? What benefits do businesses get from GST? 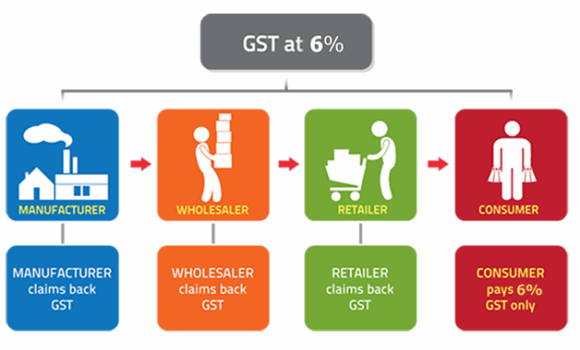 How does GST really work in your business ? How to Check No-Claim Discount (NCD) For Free?